The Food Whisperer: I'm unhappy because I eat, I eat because I'm unhappy. Dietitian, human-being, food-lover. Thoughts on life, eating and nutrition. 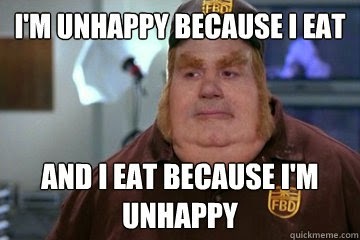 I'm unhappy because I eat, I eat because I'm unhappy. What do you think of when you hear the words ‘emotional eating’? An imagine of a Bridget Jones type character, dishevelled, and sobbing into a tub of Haagen Dazs? 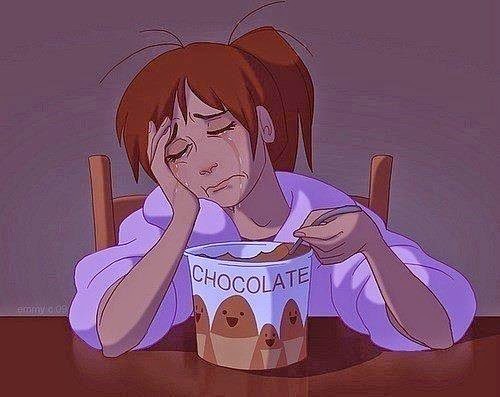 These are certainly the type of images of emotional eating that are portrayed in the media. Emotional eating is probably much more common than you would think. In fact, I’d wager that anyone reading this has done it at some point. And quite possibly does so on a regular basis. You get home from work, tired and frustrated, and reach for the wine. You’re celebrating someone’s birthday so out comes the birthday cake. The kids are fighting and the cat has been sick in the laundry – you need some chocolate. Little Eric, despite being scared, was a good boy at the dentist, so you take him to McDonalds. Eating or drinking in these circumstances typically has nothing to do with satisfying physical hunger. These acts of eating are linked to how we are feeling – and this is emotional eating. People were very forthcoming with their answers – quick to reply and very specific. No one challenged the idea of ‘comfort’ food. It wasn’t a trick question – comfort food is a concept that we, as humans, are familiar with. When we’re feeling down, food – specific foods – cheer us up, make us feel better, sooth us. This is often something we learn from a very young age. Going back to the example of little Eric – a (potentially) unhappy experience such as going to the dentist, having jabs at the doctors, sitting an exam, falling over… these are followed with food as a salve. And more often than not, the foods used are high fat and high sugar – ice cream, chocolate, biscuits, crisps, alcohol, etc. And so our relationship with food becomes confused. Rather than eating through hunger – real, empty stomach, physical hunger – we eat for a whole host of reasons that have nothing to do with a physical need for food. If these instances are infrequent they aren’t necessarily something to be concerned about – there’s nothing wrong with having a slice of cake to celebrate a birthday. But for some these are daily occurrences. Food becomes the go-to solution for coping with emotional distress. You find yourself upset, stressed, anxious, frustrated, bored, lonely – and you know food makes you feel better, so that’s where you turn. And this is where the real problem lies. Eating does nothing to address the underlying cause of the negative emotion. Any relief is temporary, and typically the bout of eating is followed by guilt, thus leading to a vicious cycle of eating and shame. Emotional eating can be linked to deep psychological issues, or it can be a seemingly innocuous coping mechanism for daily stresses. Either way, it is an insidious behaviour and one that, particularly in its milder forms, we often aren’t consciously aware of, but certainly has its impact on our weight. So how do you know if you’re an emotional eater? Firstly, you need to be able to identify the difference between emotional and physical hunger. Physical hunger typically comes from the stomach. It can be described as an empty or hollow feeling in the stomach, and there may be associated noises – growling, rumbling, etc. But it’s important to acknowledge that the stomach also makes noises for other reasons, for example, when digesting food or if you have wind. Emotional hunger originates from the head. There may well be a feeling of emptiness, but this is not from empty, growling stomach. If the emptiness is from low mood, boredom, etc. no amount of food will resolve it. Physical hunger usually comes on gradually, and unless you have gone many, many hours without food, physical hunger does not typically ‘demand’ immediate attention. It can be ignored or ‘forgotten’ when we are busy. Physical hunger can wait. Emotional hunger tends to come on quickly. You feel a sudden need for food – usually quite a specific food – and that desire can be overwhelming. Physical hunger can typically be satisfied by a variety of foods, and this would include healthy options such as vegetables, salads, meat, fish, etc. Emotional hunger tends to demand a specific food. Nothing else will satisfy the desire, because it isn’t originating from a physical need for food. Physical hunger tends to be responded to in a (at least partially) mindful way. You decide what you want to eat, you buy it/prepare it/cook it, and eat it. Your food choice may not always be ideal, your portions may not be quite right, but you are aware of your choices. Emotional hunger is often responded to mindlessly – your decisions are made almost on auto-pilot. The food choice is your predetermined ‘comfort’ food, the portion size is irrelevant and the eating is often mechanical. And here’s something essential to recognise - physical hunger is satisfied by eating. If you are eating through reasons of emotion, then no amount of food can possibly satisfy the need. When physically hungry, the stomach and brain are sated by eating. If bored, tired, low, etc. then what does eating do to meaningfully address these feelings? And if your intake is not based on physical hunger, then how can you know when to stop? For these reasons, emotional eating is usually a harmful behaviour. - Eating through emotion tends to lead to poor food choice. - Eating that is not driven by physical hunger cannot be satisfied by food, so overeating is a common feature. - It doesn’t address the underlying feeling, so there is no meaningful resolution from eating. - Emotional eating is commonly followed by guilt and/or shame, which drives its cyclical nature. - Emotional eaters often struggle with their weight. So if you are an emotional eater (perhaps wanting to lose weight), what can you do about it? Emotional eaters – if aware of their habits – often feel powerless to change their behaviour. But eating to pacify our feelings is a learnt association, and it can be unlearnt. It is not an easy thing to do, but with consistent effort it can change. Depending on the extent of the problem, professional support may be needed – don’t be afraid of asking for help. - Keep a food and mood diary: knowing exactly what is happening is crucial. If you don’t quite have a grasp on the problem, how can you know how to solve it? Write down everything – everything – that you eat. Try and think about how you are feeling before/during/after you have eaten – both physically (is the hunger coming from your stomach?) and emotionally. Write down who you were with, and what was happening in your environment. Look back through your diary – more likely than not you’ll see a pattern emerging that links how you feel, who you are with, or what’s happened in your day, and what/when you have eaten. This will allow you to identify your triggers. One you have worked out what initiates your eating behaviours you can begin to plan strategies to cope that don’t involve food. - When you know what your triggers are, you can begin to pre-empt them. And the earlier you can intervene in the developing situation, the more likely you are to be able to ward off/protect yourself against the precise trigger. - Address the trigger – emotions can be difficult to handle, particularly the negative ones. But regularly ignoring how you are feeling is no good for your mood or mental health in the long term. This doesn’t mean you have to be obsessed with every feeling or thought, but instead find the middle ground in which you can acknowledge that you are unhappy/sad/anxious/worried/etc. Most emotions are transient – trying to suppress them with food will lead you to the emotional eating cycle. Recognise how you are feeling – it may be uncomfortable, but it isn’t as scary or overwhelming as you might fear. · If you do find yourself wanting to eat, and you are aware that the reason is not physical hunger, at the very least give yourself a few minutes before eating to work out what’s happening. That brief pause can help to break the cycle of automatically reaching for food. Even if you do give in, each time you take a moment you are putting yourself in a better position to be able to resist. 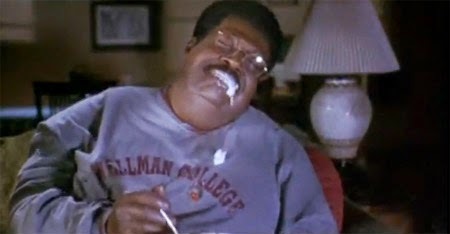 - Resisting the urge to eat is difficult. Make it easier for yourself by planning some non-food related coping strategies. If you can put your mind to something else, the distraction provided can help you to overcome the desire to eat. Eating through emotion is itself a distraction from something else – replacing the eating with another behaviour/activity doesn’t address the underlying trigger (but nor does eating), but is less harmful to your waistline and health. Treat yourself: have a bath, read a book, paint your nails, listen to some music, phone a friend, browse the internet, meditate. Treats should not involve eating or drinking! Engage your brain: do a crossword, do a puzzle, help the kids with their homework, learn a language. Ideally the activity will be something you enjoy. And something engaging – passive activities (now there’s a contradiction in terms!) such as watching tv don’t tend to work as distraction techniques as you are not engaged in the same way as if you are actually doing something. You can be as wild and creative as you like in what you choose – the key is to find a behaviour or activity to replace emotional eating. This will help to carry you through the desire to eat, and for long-term sustainable weight loss this is an essential issue to address. Identifying the difference between emotional and physical hunger is an essential first step to being in charge of what and when you eat, and for weight loss this is crucial. Traditional diets do not work well within the context of emotional eating. They work on the basis of restriction of ‘bad’ foods or whole food groups; they demand portion control; they suggest high fibre/protein to increase satiety, and so on. If your eating is driven by emotion, is not underpinned by hunger, or rationalised with logic, how can the principles of the ‘diet’ work? So if emotional eating is something you struggle with, or something you think might be contributing to unwanted weight gain, then trying some of the techniques above can begin to help. If you need further support, then a referral to a specialist weight management or mental health team is precisely there to help with this kind of thing. Any thoughts or comments, I’m always happy to hear from you. 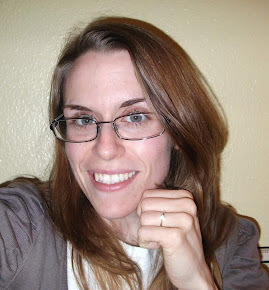 Sarah Jane Martin is a Registered Dietitian. She is an expert in nutrition and is passionate about health, well being and active lifestyles. Sarah has a particular interest in Sports Nutrition and has specialised in the subject. She has worked with various sportsmen and women, including marathon runners, triathletes, competitive swimmers and body builders, to name but a few disciplines. Sarah can provide expert advice on all aspects of nutrition and will be writing regular articles on food, diet and nutrition.